Today, we added another 24 tracks with over 16 hours of beautiful Kirtans recorded by Concrete Jungle Kirtan in 2016 with Vasudev, Rupa, Keshava, Gopal, Ananta Govinda and Acyuta Gopi, although that’s only a small fraction of all their recordings. Our Akanda Nam 24 Hour Kirtan Radio Playlist already contained 24 of their recordings from 2015, so now this is a total of 48 recordings. I’m pretty sure we’re going to add another 24 tracks in the course of this year, because they are really that good! If you want to listen to the what’s now playing, just go to 24hourkirtan.fm or find us on your favorite Internet radio mobile app. 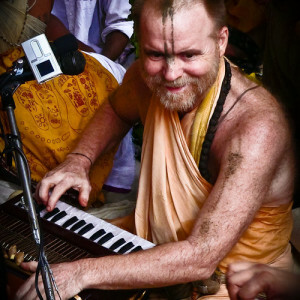 Here’s an overview of how you can listen to 24 Hour Kirtan Radio. Here’s a more recent beautiful recording from last Sunday with Visvambhar. 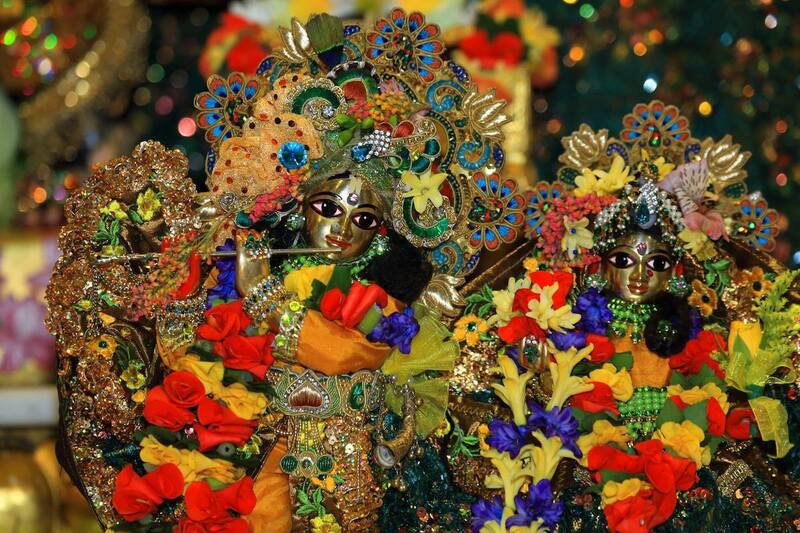 The Brooklyn temple hosts regular Kirtan evenings in front of their lovely Sri Sri Radha Govinda deities on Wednesdays and Sundays. There’s also a live video webcast of the temple room, although it seems as it has been on air last time 3 years ago. In case you’re located in New York or visiting the big apple, make sure to attend one of the Kirtans.